Some artists, one feels, never quite achieve the broad recognition that they deserve. Perhaps fundamentally reserved and modest in nature, they may not have that uneasily defined ‘star thing’ that would help them to make that final leap into mainstream media coverage and ‘end of year best albums list’-style ubiquity. Instead, their lot is, it seems, to carry on crafting excellent albums and playing superb shows – in other words, doing great work year in, year out – but never quite enjoying the status that they may not themselves crave, but their fans probably do on their behalf. 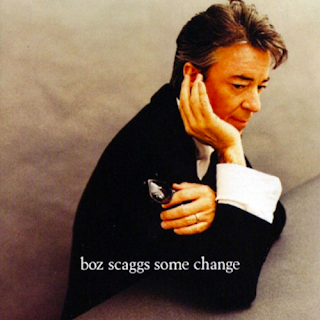 US-born guitarist and singer Boz Scaggs falls firmly into this category. First coming to prominence during an early (and often spectacular) incarnation of the Steve Miller Band, Scaggs’ subsequent solo career went stratospheric with the 1976 release of Silk Degrees. An apex of ‘70s pop-soul, the album features Scaggs backed by session royalty drawn from the ranks of Little Feat and Toto. ‘Lowdown’, ‘What Can I Say’ and ‘Lido Shuffle’ – all harmony-laden and very much built for cruising down a Californian freeway – became FM radio perennials and are still stalwarts of Scaggs’ live sets today. Silk Degrees' multi-Platinum success would make it a tough act to follow – and the albums that Scaggs recorded during the rest of the 1970s (Down Two Then Left, Middle Man) were less consistent and sometimes a little too close to MOR. Perhaps wisely given the production-related sonic catastrophes that befell many of his contemporaries, Scaggs largely sat out the 1980s as he explored alternative careers as a restaurateur and vintner. His sole album of the decade, 1988’s Other Roads, had some strong moments, but with Some Change six years later he was not only back on form, but offering what I would suggest is the best album of his entire career. Going into this project, it appears Scaggs was apparent of the need for a reset, so it makes sense that he decided to review his approach to recording. Always under-valuing his own abilities as an instrumentalist, Scaggs didn’t contribute guitar to many of his ‘70s hits, preferring to leave it to the crack session players who he felt were in a different league. But on Some Change, Scaggs the guitarist is back in full effect, and it’s a joy – his spare, bluesy, ‘in the pocket’ style the perfect complement to his most pared-backed recordings since the early ‘70s. With Scaggs also playing some keyboards and bass, the long roll-calls of session players are no more, although there are still a handful of individual-song contributions from the esteemed likes of Booker T Jones on B3 organ, Fred Tackett on acoustic guitar, and Marcus Miller, James ‘Hutch’ Hutchinson and Nathan East on bass. Scaggs’ main accomplice, though, is his co-producer Ricky Fataar, a former member of the Beach Boys whose fantastic drumming is the foundation on which these 10 subtly funky tracks are built. The opening ‘You Got My Letter’ is a ringing statement of intent, its call-and-repeat guitar parts pushing the track through four infectious, bluesy minutes. If it's blues you are seeking, though, the title cut is the real deal – a rock-solid groove is enhanced by Booker’s B3 and a sequence of rippling solos by Scaggs that should have dispelled his reservations about his own playing forever. And he’s never sung better, either, although it must be admitted that his soulfully yearning vocals can lift even the least distinguished material. Co-written by Robben Ford and Michael Omartian, ‘Call Me’ re-asserts Scaggs’ nice sideline in quirky pop balladry, although the high-point of flat-out gorgeousness here is ‘Sierra’ – chock-full of longing and featuring one of Scaggs’s most beautifully crafted melodies. Drawing to a close with ‘Illusion’ – its opaque groove riding along on Miller’s characteristically nimble bassline – and the more emphatically bluesy ‘Follow That Man’, Some Change was a subtle triumph; the kind of album that improves with repeated listenings over years. Never the most prolific of writers, Scaggs has tended to include multiple covers on many of his subsequent albums, with the exception of Dig, which was written with ‘70s accomplice, keyboardist David Paich, and guitarist Danny Kortchmar, among others. A very different beast to Some Change, Dig is much more polished – not always to its benefit – but on ‘Payday’, ‘’Call That Love’ and ‘Vanishing Point’ it all meshes rather beautifully. Alas, the album – like Dylan’s Love & Theft – had the misfortune of being released on September 11, 2001, and consequently came and went commercially. More recently it has been re-evaluated and its best moments continue to pepper Scaggs’ live shows. Still touring each year as a solo act, and occasionally with Donald Fagen and Michael McDonald as the Dukes of September, Scaggs is the very definition of a class act. Evidently modest and retiring in nature, he is – to return to my opening observation – simply doing ‘great work year in, year out’. Now 73, Scaggs has a new album out at the end of July, Out of the Blues, whose lovely, harmonica-enhanced lead track, ‘Rock and Stick’, suggests there’s still plenty of life yet in his distinctive take on soulful blues-rock.